Learn basic and advanced rescue skills, strengthen your resume and boost your confidence by taking a course with Edmonton First Aid. This provider offers a variety of courses including food safety, standard first aid, emergency and childcare first aid. This provider is the most popular and largest course provider of emergency first aid training in Edmonton. Participants that register for this one-day, 8 hour course, will also receive CPR and automated external defibrillator (AED) training. 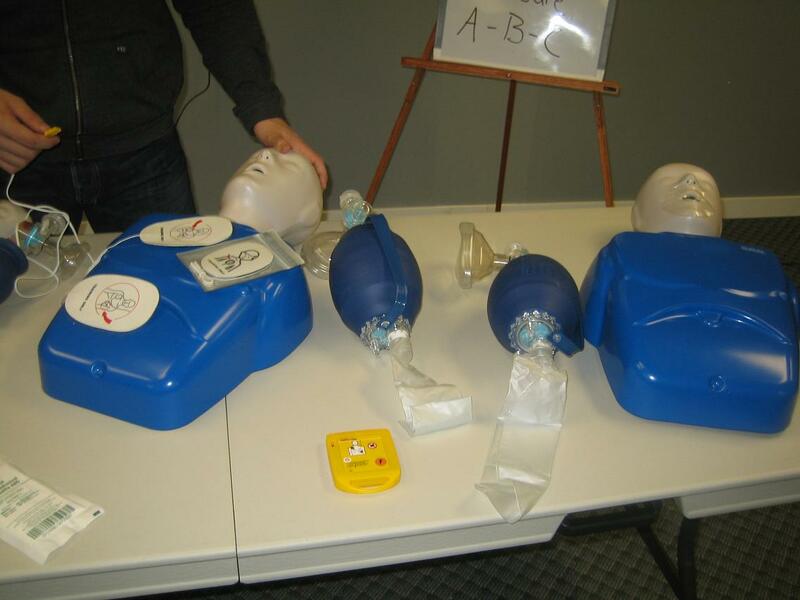 Another popular course is standard first aid which meets Alberta OH&S requirements for first aid training. To register for a emergency first aid course, or any other course, in Edmonton use the link above or the contact information posted below to contact this provider. How To Register / Contact This OH&S Approved Provider? This training provider has its main training location located in Old Strathcona. This location offers free parking and great access to public transit. It is located walking distance from the University and from the Hospital. Vibrant Whyte Avenue is just one block to the north. Participants will have a opportunity to enjoy the nearby restaurants during lunch breaks or can use the fridge and microwave provided in the classroom. Enrolment is very quick and hassle-free. A complete list of classes, schedules, and rates can be found on the Edmonton First Aid website. Once you’ve chosen your desired course, just fill out the application form on the site to complete your enrolment. E-mails, telephone calls, and walk-ins are also highly encouraged by Edmonton First Aid’s very welcoming staff. 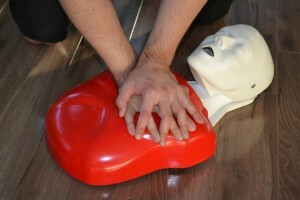 All standards and rescue techniques meet provincial requirements and / or American Heart Association requirements. Talk to your supervisor or your advisor to determine what is the right class for you. These topics and many more will be taught with hands on training and with interactive learning methods to make the class informative and enjoyable. What Are People Saying about Edmonton First Aid? I loved the class! I feel prepared for almost any emergency. The teachers was great and he used great examples to show us where to use our newly learned skills – Andrew P.
Private stand-alone CPR, re-certification and first aid classes are available at the Edmonton First Aid training centre or a certified, experienced and knowledgeable instructor can come to your facility. Use the contact information posted above to book or receive a quote for a private first aid and / or CPR course in Edmonton. Once a trainee completes an enrolled course, he or she is are awarded a Alberta OH&S approved training certificate that is valid for three years throughout Canada. This certificate meets provincial and federal requirements throughout the country. Courses are offered at the lowest rates in the area. Rates are inclusive of taxes, certificates, Alberta OH&S registration fees, and use of training manuals and equipment. Trainees don’t have to worry about additional expenses. Full refunds are given to trainees who drop out of the training courses, as long as a 72-hour notice is given beforehand. Get a head start on your training below! Enrol in a training course with Edmonton First Aid today!